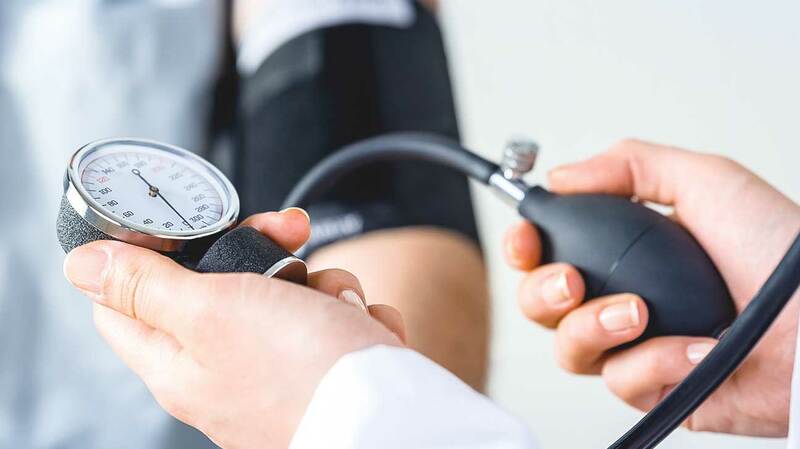 High blood pressure symptoms may go undetected and the only way to find out for sure if you have it is to have your blood pressure checked. You can also check your blood pressure yourself with a blood pressure monitor at home. The chart below can tell you what your reading says about your blood pressure. In some cases, symptoms may begin to show, which could indicate you need to see your GP. Bupa lists nine signs to watch out for. These include headaches, shortness of breath, dizziness, chest pain, heart palpitations, nose bleeds, stomach pain, fever and blurred vision. The health organisation adds: “You may want to see your GP if you get a combination of any of these symptoms frequently. They may indicate high blood pressure or something else that needs to be treated. Blood pressure is recorded in two numbers – the systolic pressure and the diastolic pressure. The chart by Blood Pressure UK shows ranges of high, low and healthy blood pressure readings. High blood pressure is considered to be between 140 over 90mmHg or higher. Ideal blood pressure is considered to be between 90 over 60mmHg and 120 over 80mmHg. Low blood pressure is considered to be 90 over 60mmHg or lower. For those looking to reduce high blood pressure, or help control it if you’ve already been diagnosed, what can you do? British Heart Foundation (BHF) lists six top tips. For some people, losing weight is all they need to do to get their blood pressure down to a normal level, according to the charity. As well as it being a recommendation by BHF, the NHS suggests cutting down on the amount of salt in your food and to eat plenty of fruit and vegetables. If you drink alcohol, stick within the recommended limits. The charity recommends no more than three to four units a day for men and no more than two to three for women. BHF says: “Most people will need to take more than one type of medicine to control their blood pressure.